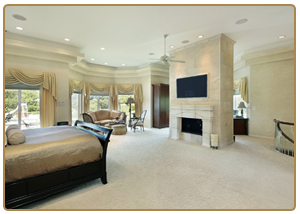 In this day and age, carpet cleaning is not just about removing particles from your carpets anymore. We, at Versatile Cleaning Group, offer more services to our esteemed customers in an effort to provide top notch carpet cleaning service in Fishers like you can’t find anywhere else. With our professional carpet cleaning services in Fishers, we really have taken much of the burden off when it comes to keeping carpets clean and preserving their looks. Why are Thousands of Hoosiers Choosing Versatile Cleaning Group? Our 5-STEP PREPA process ensures that your carpets are cleaned according to the IICRC industries standards. Because we understand the importance of protecting your investment, we have taken an additional step to include carpet and fabric protector FREE in our process. When applied, a barrier is placed around each fiber, making it spill-resistant. This will allow you a window of time to clean up the spill and ensure you that your carpets and fabric stay clean and last longer. Vacuuming has always been something done by homeowners as regular maintenance work on their carpets. 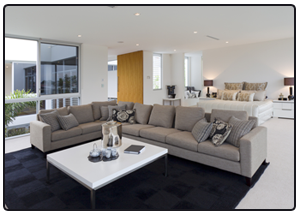 However, Versatile Cleaning Group offers these services as a preparatory step to our main cleaning method. While we offer this extra service for free, some might charge a small amount for it. Vacuuming your carpets before actually cleaning them lessens the amount of dirt that’s left for later, so the suction can focus on dirt that’s embedded into the carpet itself. People who are having their carpets cleaned for the first time may opt for pre-treating their carpets before they’re cleaned. 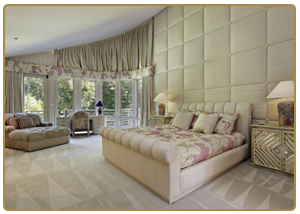 Pre-treatment involves soaking the carpet in natural cleansers that don’t contain chemicals. This aims to dislodge surface dirt and protect the fibers from the chemicals that will be added during the cleaning itself. Carpets that haven’t undergone professional cleaning previously benefit from pre-treatment because they will be able to tolerate the harsh chemicals better. We also employ dry cleaning methods so that there’s no need to rinse your carpets. However, there’s still minimal liquid involved, so you still need to dry your carpets after cleaning. If you’re in a hurry because you have an important event coming up, you can opt for our drying services too. By using heavy duty drying fans, your carpets will be thoroughly dry in just a couple of hours. This is an additional service offered by Versatile Cleaning Group. With stain guards, we coat each fiber of your carpet with a protective layer, making it difficult for stains and dirt to attach themselves to the fibers of your carpet. It not only makes it easier to clean the carpet in the future, but it actually repels stains that can change the color and texture of your carpet, destroying it. Normally $10 per room each EACH, we are providing both stain protection and carpet deodorizer for FREE to pass the value onto you. 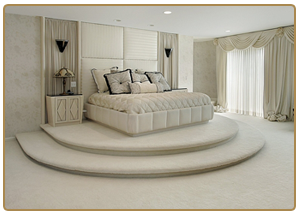 Why Our Carpet Cleaning Service in Fishers is the Best ? It’s consistent – Before, people would clean their carpets themselves and while this method worked, it wasn’t always consistent. There were times when people would be in the mood for cleaning and the results would turn out well; however, there are times people are too busy and clean their carpets haphazardly. With our professional carpet cleaning in Fishers, carpets are cleaned with the same dedication and thoroughness each and every time. There are lots of reasons why you have Versatile Cleaning Group carpet cleaning service in Fishers. We make people’s lives easier and it’s definitely worth the cost. YOU’LL HAVE THE CLEANEST CARPETS IN TOWN! Call 317-537-7147 or click here to schedule a carpet cleaning appointment today.